Carpet Cover is a super-strong, protective film for the temporary protection of carpet, carpet tiles and upholstered stairs. The product has a unique self-adhesive layer. 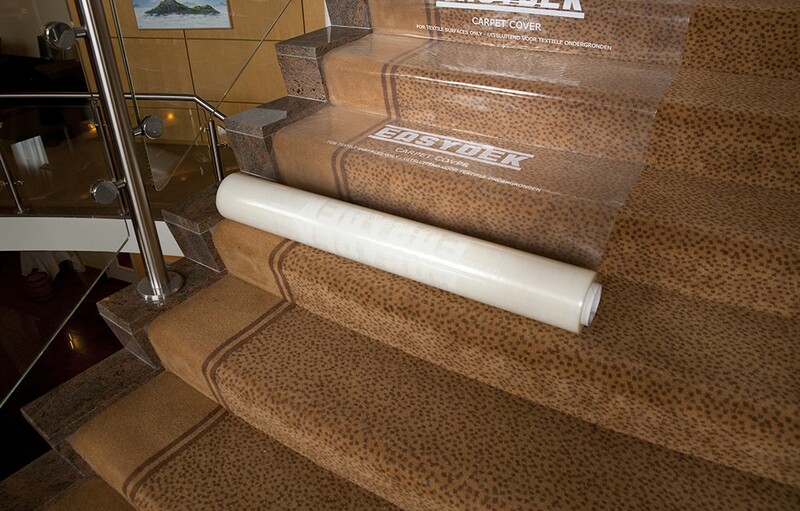 Fibercoat is developed specifically for adhesion to porous surfaces such as carpets. 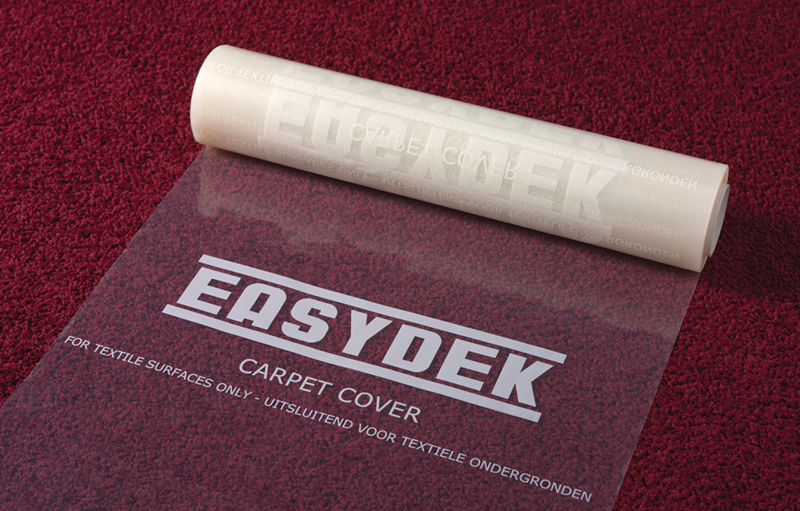 Carpet Cover is extremely resistant to intensive loads thanks to the particularly strong and tough material. 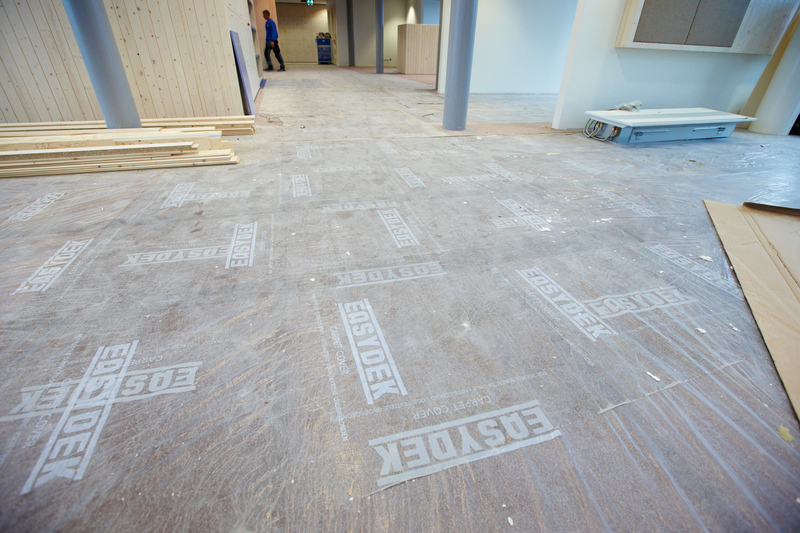 Because of the unique adhesive layer, the material always lays well without the need for additional tape. 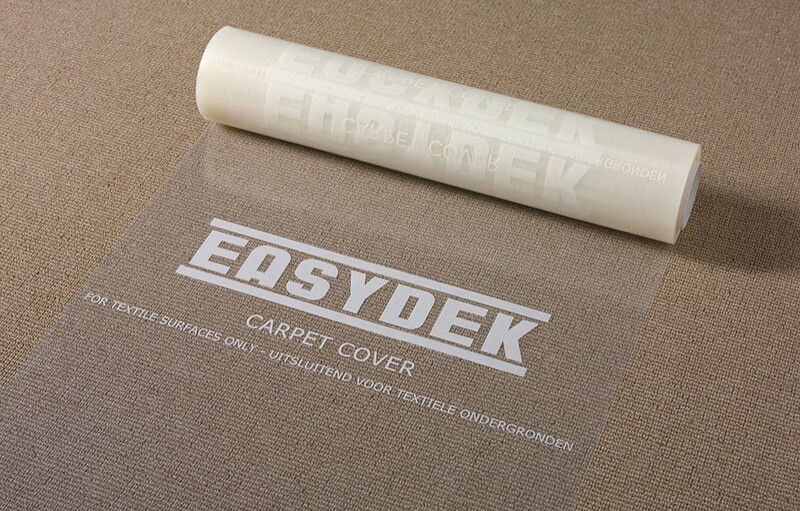 Carpet Cover leaves no adhesive residue behind after removal. There are multiple variants available ranging in thickness and dimension. 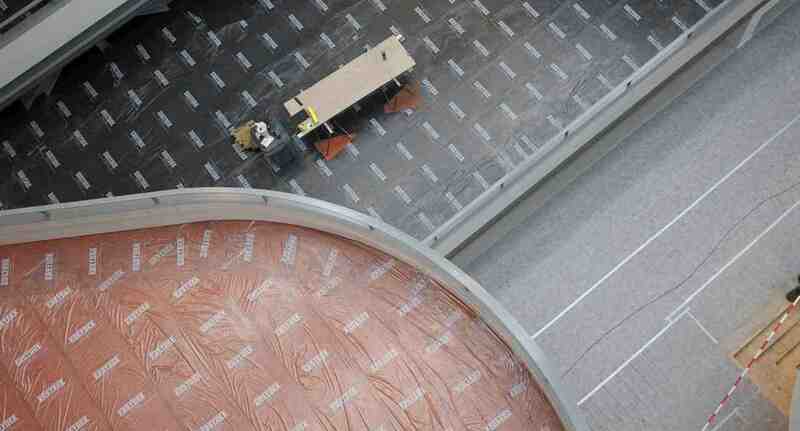 Use Carpet Cover during construction, renovation and maintenance work. Covering carpet with Carpet Cover is very simple. 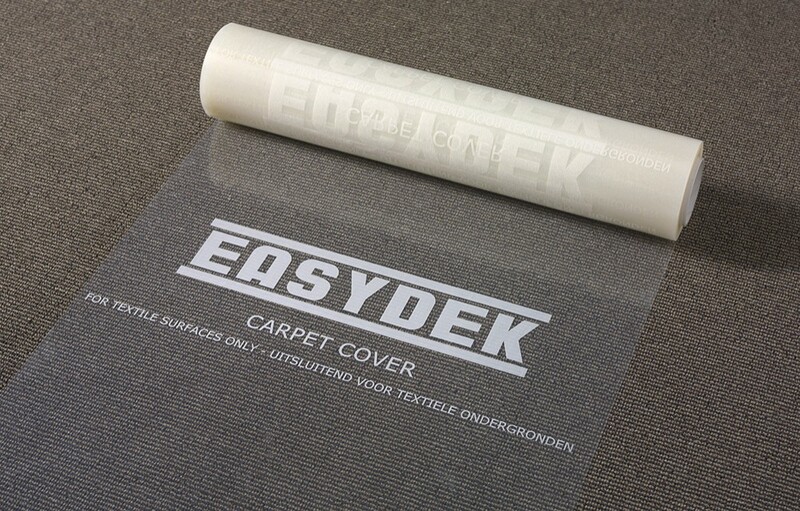 The protective film is rolled up in such a way that the adhesive layer is on the outside. Roll out Carpet Cover by hand or foot. 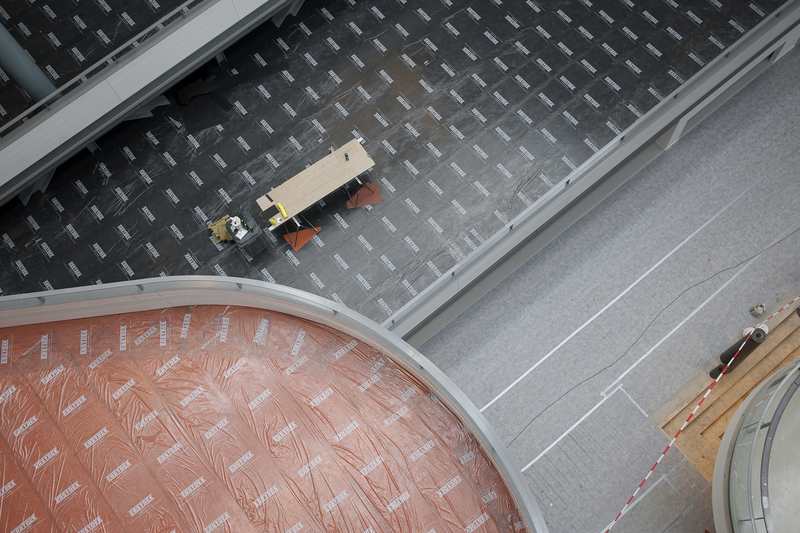 In case of very large areas use the Applicator for even faster installations. 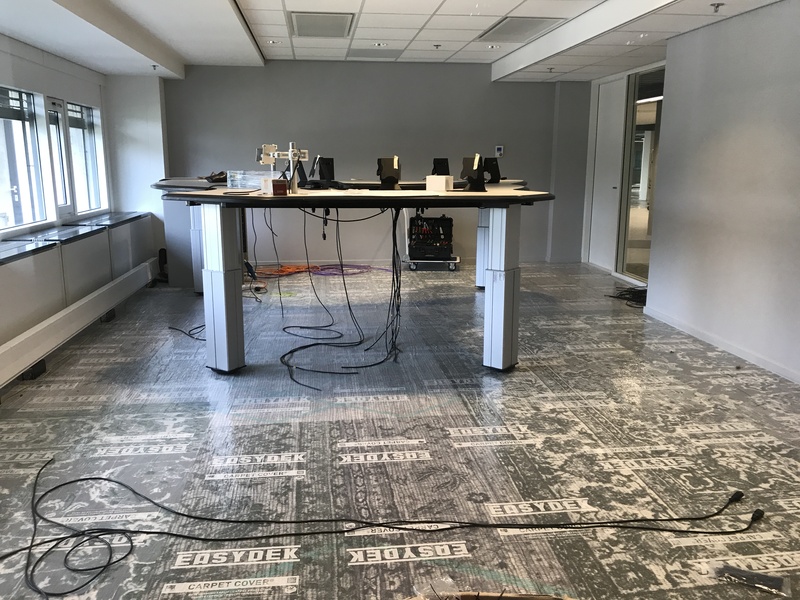 After completion of the work, Carpet Cover can be easily removed. 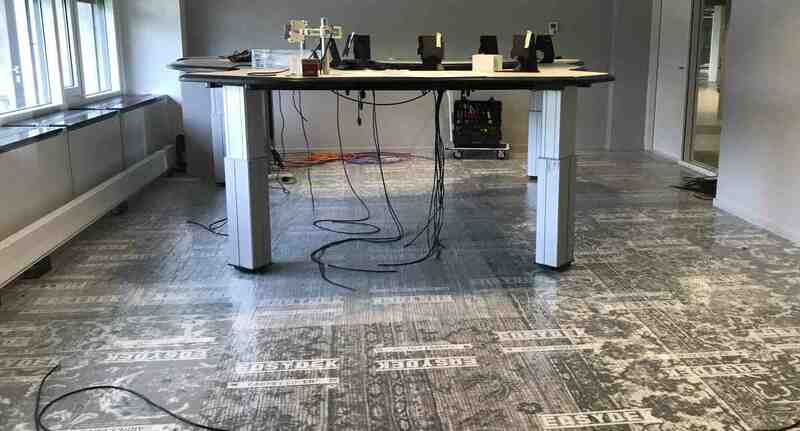 What remains is a clean carpet. 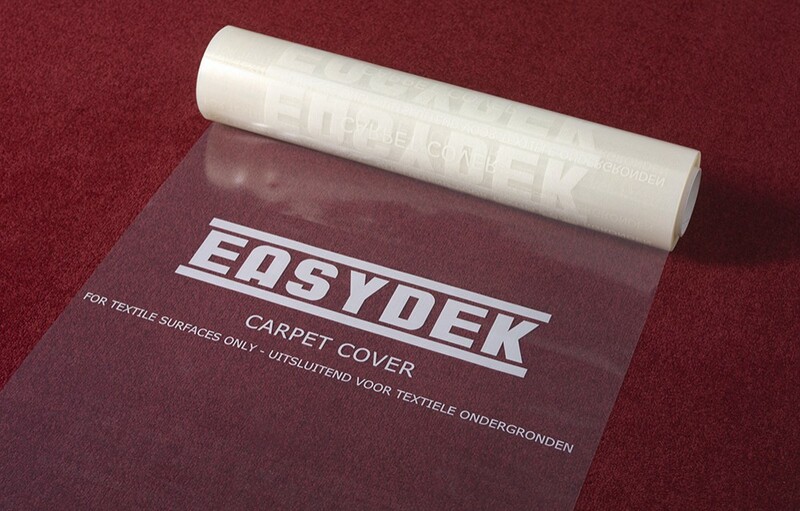 Carpet Cover can be applied very quickly thanks to the adhesive layer on the outside. The floor or stairs can be covered in a matter of minutes. This means it is not necessary to use tape. Carpet Cover always stays in place, preventing falls and tripping. This makes Carpet Cover also safe to use on carpeted stairs. 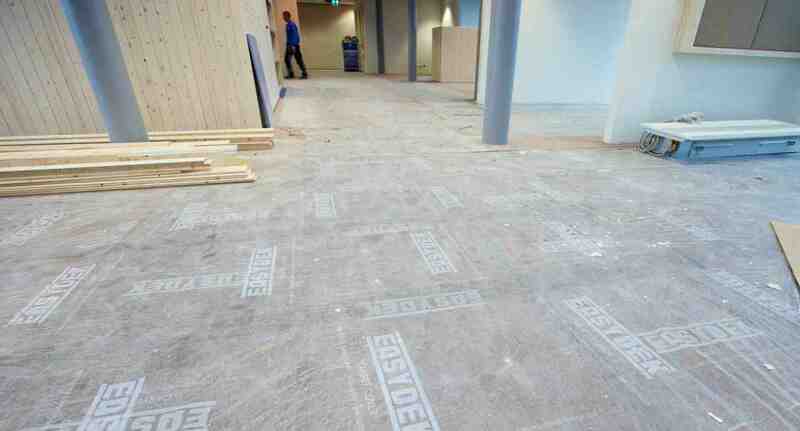 Available with newly developed Fibercoat adhesive system.